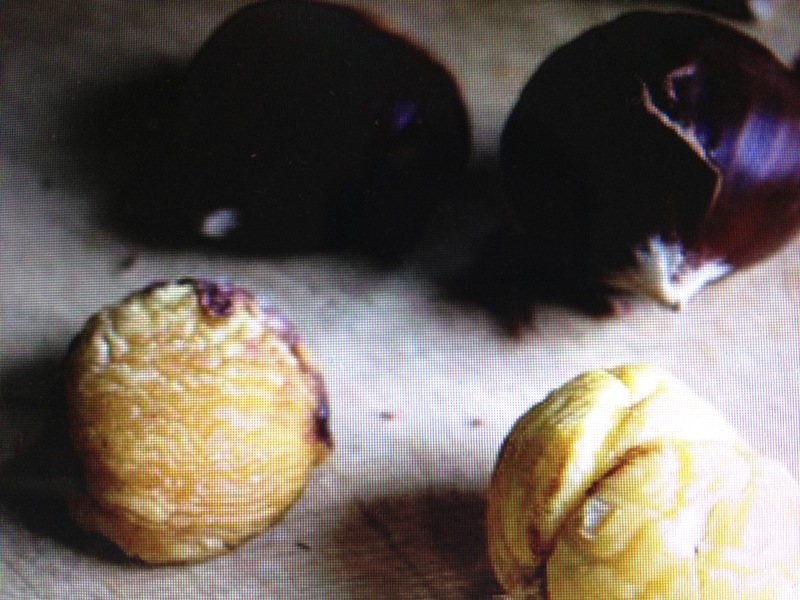 Chestnuts, or ‘kuri’ in Japanese, are a winter staple in Japan. In Tokyo, and in most cities and towns in fact, there are chestnut vendors who trawl the streets at night with their tinny transistors wailing the traditional Edo period ‘chestnut song’ among the cold, steaming red neon: the nuts, in their shells, fragrant, unpeeled, and roasting hot as you grab a quick late night snack before the last train home. Marrons glacés, Mont-Blancs (with which I now have something of an obsession, when combined with a piping hot cup of caffe latte on a cold rainy day in winter) and anything chestnutty in fact, are very popular here( they are also traditionally eaten pickled): the tiny, shrivelled, squirrel brains both nutritious and unique in texture, and aroma, and flavour. Castaña (Spanish for chestnut), is one of the few perfumes that have a distinctly nutty aroma, and the first I know of to feature the chestnut. Cloon Keen is a perfumer and candlemaker based in Galway, and though it is rather clichéd of me to say so, to me there is, undeniably, a distinctly ‘Irish eyes are smiling’ aspect to the scent. It is warm, benevolent; optimistic in-woolly jumper (and generous figure): a person you trust and like, flitting and fussing about the kitchen, taking care of you with a loving smile and a twinkle. Beginning with a creamy, rich and edible chestnut over sweetened, cherished vetiver, the perfume progresses to milkier, more sandalwoody tones. While the top accord features a lemon-floral note (cassia and jasmine), the scent remains buttery (yet clean and appealing) throughout its duration on the skin. I find it quite a simple scent, probably too much so in some ways ( and I have never been a fan of the ambroxan-like note embedded in the white musk base), but despite these slight misgivings that is only a question of personal taste: I know many people enjoy those warm, musky strokes and I would very happily smell it on another person, as Castaña is just one of those scents that is uncomplicated and lovely, very easy to wear on a daily basis without even noticing it until it becomes your smell. It is also quite inexpensive, which is a boon in the niche market of today where buying a scent really can really put you out of pocket. 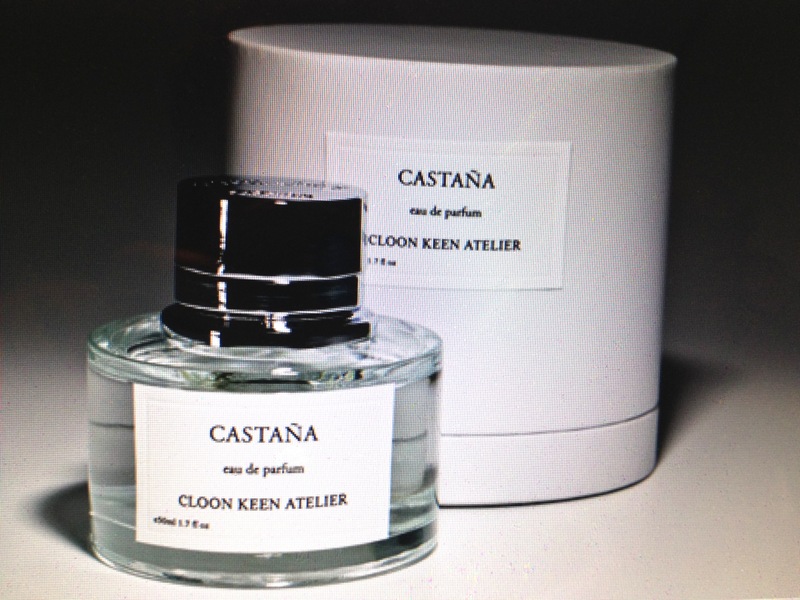 Castaña is slightly reminiscent of another scent, actually, another vetiver/nut combination, almost as though Hermès Vetiver Tonka (with its gorgeous heart note of hazelnut – see my review), had, in his second year at Cambridge, come back for the Christmas and New Year holiday; all geared up, flighty and full of literary pretensions, to then be brought gently back down to earth by his loving; less educated; but more more emotionally open, mother.